Learn how to make an all-natural lip balm at home and protect your lips with the nourishing power of coconut oil. 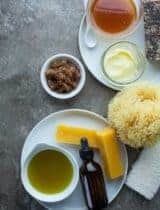 All-natural beauty often starts in the kitchen and what you put on your body is as important as what you put in it so I’ve invited some friends to share their favorite healthy homemade beauty products with you over the next couple weeks to show you just how easy it is to make your own personal care products from scratch. Please welcome Carrie from Deliciously Organic today with her recipe for a homemade lip balm. 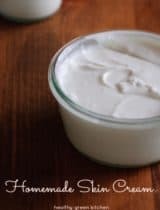 I love making quick and easy skin care products at home. 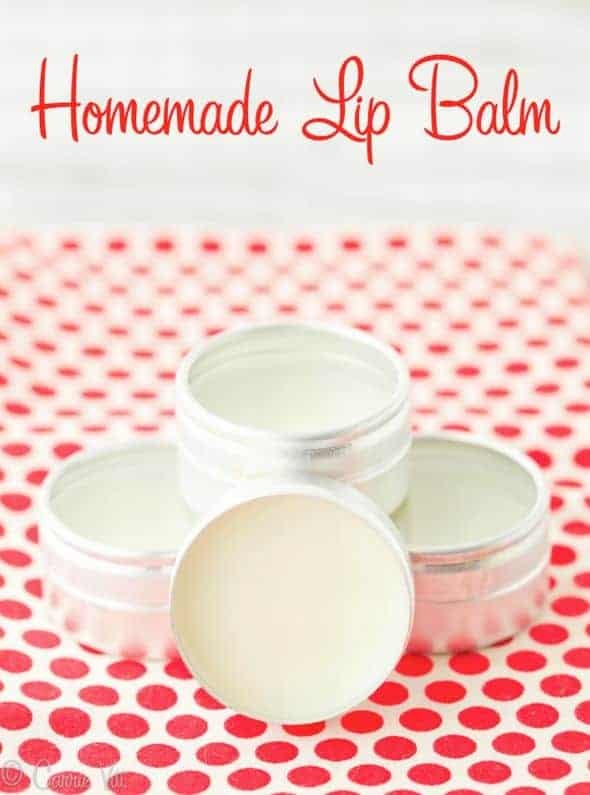 I learned to create my own homemade lip balm over 5 years ago and I love it! Commercial lip balms often contain harmful ingredients like soy, petroleum, and dyes. Even though what we put on our lips may seem insignificant, the body can absorb small amounts of these chemicals, potentially causing harm over time. 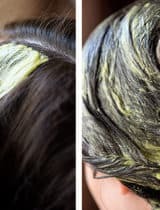 If you want to keep things really simple, all you need is beeswax and coconut oil. To take things up a notch, you can add a bit of honey for sweetness, vitamin E oil as an additional preservative, essential oils for fragrance, or ground hibiscus flowers for a little ruby color on your lips. I order all my items from Mountain Rose Herbs, and one batch makes eight half-ounce pots of lip balm. They’re perfect for carrying in your purse or giving as fun small gifts. Have you tried homemade lip balm? 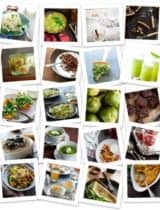 What’s your favorite recipe or combination? 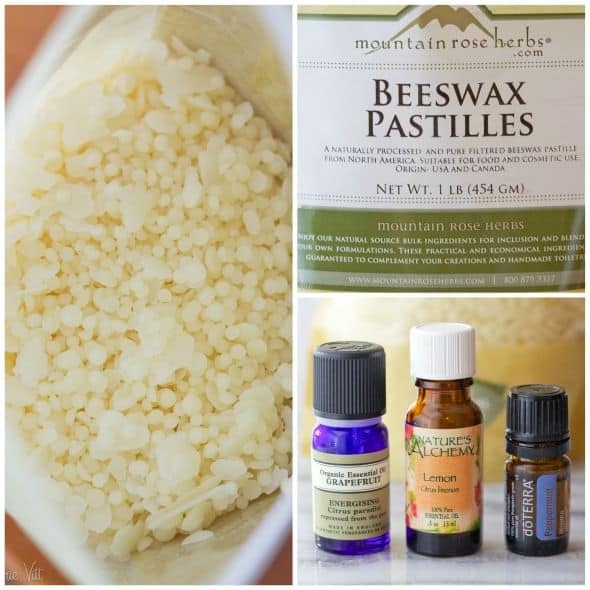 An easy all-natural homemade lip balm made from coconut oil and beeswax. 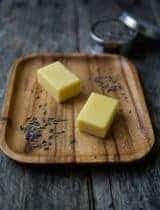 Place beeswax and coconut oil in the bowl of a double boiler. Heat slowly, whisking occasionally until beeswax is melted and ingredients are combined and smooth. Pour into small pots and let sit at room temperature to cool. 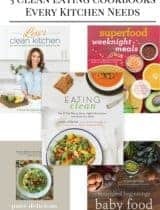 Carrie Vitt is the author of the cookbook Deliciously Organic and the publisher of the popular food blog Deliciously Organic. 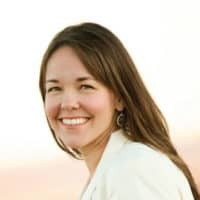 Through organic, unprocessed food Carrie’s family of four has overcome severe asthma, eczema, Hashimoto’s, IBS and migraines, all without drugs—just good, natural, real food. Husband, kid- and party-friendly, Deliciously Organic is brimming with the recipes and flavors families love — all created using wholesome, unrefined and organic ingredients. Carrie lives with her husband, an Air Force test pilot, and their two daughters in Northwest Florida. You can also find Carrie on Twitter and Facebook. Great recipe! Thank you for sharing, Carrie! I'm a lip balm addict and this looks like such an easy, wonderful, and natural way to get my fix on! Thank you much. This is a good recipe to have and make. I'll forward this one to my sister in AZ. Thanks again. Have a great weekend! Where do you buy your beeswax from? It's in the article..."I order all my items from Mountain Rose Herbs, and one batch makes eight half-ounce pots of lip balm." They sounds so cool! I definitely am going to try it. Where can I get the little containers to put the lip balm in? So simple - absolutely love it! I love lip balm- this looks most perfect! I would adore someone who gifted me this homemade version! you mean I can actually do this at home? AWESOME! I'm really enjoying this series. I have a book full of homemade beauty product recipes that I've never done anything with. I'm inspired! 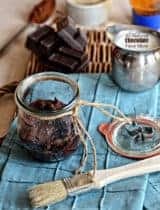 I love lip balm but have never made my own. Thanks for the idea, I think I'll try it with my daughter!